Vin Diesel’s The Fate of the Furious (Fast And Furious 8) is successfully running in India while Vidya Balan’s Begum Jaan has drastically failed at the Box Office. Vin Diesel’s The Fate of the Furious (Fast And Furious 8) is minting huge numbers at the Box Office. On the other hand, Bollywood release, Vidya Balan’s Begum Jaan has drastically failed at the Box Office. It looks like last week’s Hollywood release has trumped Bollywood release like a boss. 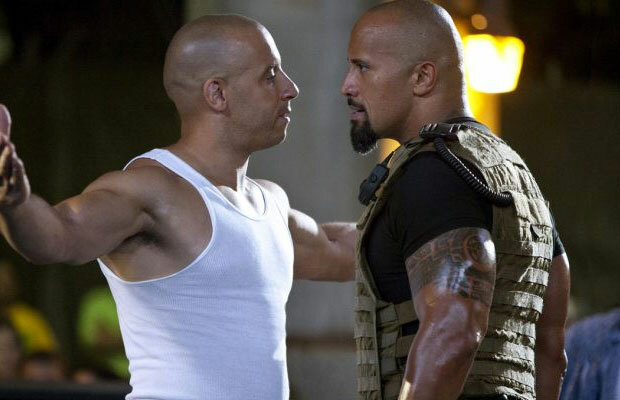 Fast and Furious has collected Rs 57 crore (570 million) net approx. in 7 days while Vidya Balan’s Begum Jaan is still struggling to even reach Rs 20 crore mark at the Box Office for its lifetime business. Fast and Furious 8 collected Rs 5.50 crore (55 million) nett approx on Wednesday (Paid previews) and Rs 9.25 crore (92.5 million) nett approx on Thursday. On Friday, which was a holiday for Good Friday and Ambedkar Jayanti, Fast & Furious 8 collected Rs 11.25 crore (112.5 million) nett approx, Rs 10 crore nett approx. on Saturday and Rs 11.50 crore net approx. on Sunday. The film then collected Rs 5 crore (50 million) net approx. on its first Monday and Rs 4.50 (45 million) net approx. on its first Tuesday. On the other hand, Vidya Balan’s Begum Jaan has been going low with each passing day. The multi starrer film collected Rs 3.50 crore(35 million) net approx. on the first day, Rs 3.25 crore(32.5 million) net approx. on its second day and Rs 3.75 crore on the third day. However, after the first-weekend business, Begum Jaan has drastically fallen at the Box Office. Srijit Mukerji directorial collected Rs 1.45 crore(14.5 million) on its first Monday and Rs 1.30 crore(13 million) on its first Tuesday. The film has collected Rs 13.25 crore(132.5 million) nett approx. in 5 days, which is evidently poor. It’s pretty clear that Begum Jaan is struggling at the Box Office. It was expected that the long weekend holiday would give a push in the collection. However, it did not turn out to be in the film’s favour.